I am going to live in this sweater this winter! 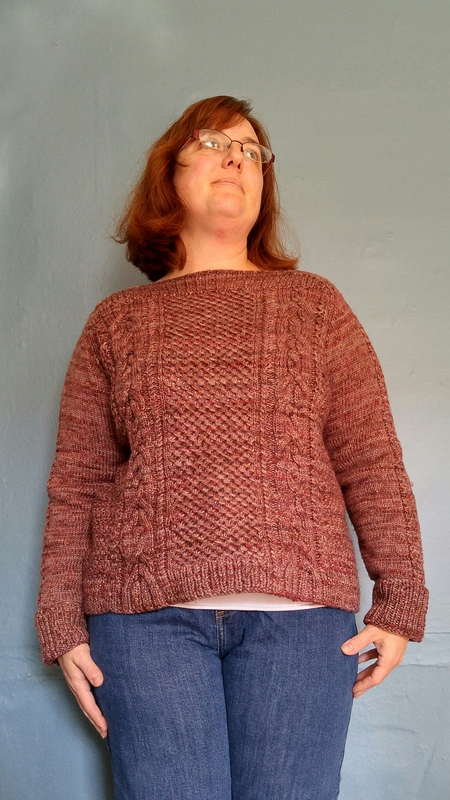 Beekman Tavern (designed by Thea Colman) is a fun, but not challenging knit. After a couple of rounds, I was able to easily read my knitting, making it a good tv-knitting project. I recycled the yarn from a merino thrift store sweater (above right.) I wasn’t into the pale pink variegated colorway, so I over dyed it a grey/brown. 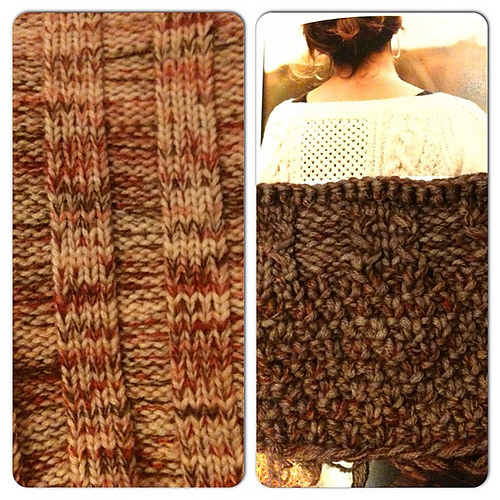 Check out my Ravelry project page to find out how I modified this to fit my ginormo arms. 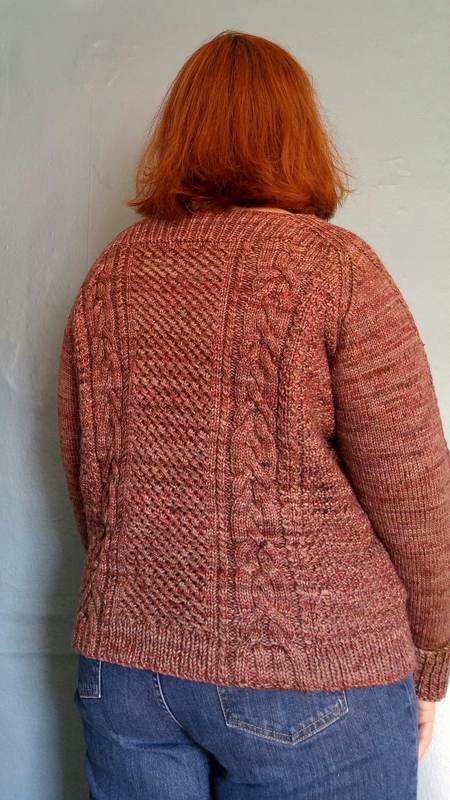 This entry was posted in finished object, Knitting and tagged cabled, cables, handdyed, knitting, merino, sweater, wool, worsted, yarn by cgovernoillustration. Bookmark the permalink.